Path analysis is an extension of the regression model, used to test the fit of the correlation matrix against two or more causal models which are being compared by the researcher. The model is usually depicted in a circle-and-arrow figure in which single-headed arrows indicate causation. A regression is done for each variable in the model as a dependent on others which the model indicates are causes. The regression weights predicted by the model are compared with the observed correlation matrix for the variables, and a goodness-of-fit statistic is calculated. The best-fitting of two or more models is selected by the researcher as the best model for advancement of theory. Path analysis requires the usual assumptions of regression. It is particularly sensitive to model specification because failure to include relevant causal variables or inclusion of extraneous variables often substantially affects the path coefficients, which are used to assess the relative importance of various direct and indirect causal paths to the dependent variable. 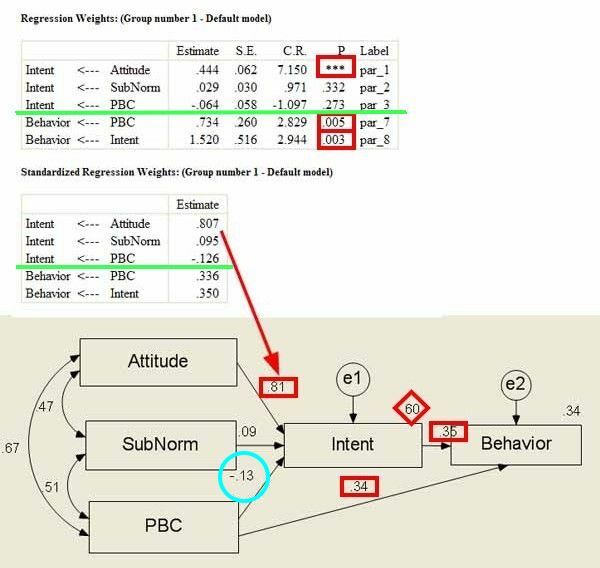 Such interpretations should be undertaken in the context of comparing alternative models, after assessing their goodness of fit discussed in the section on structural equation modeling (SEM packages are commonly used today for path analysis in lieu of stand-alone path analysis programs). 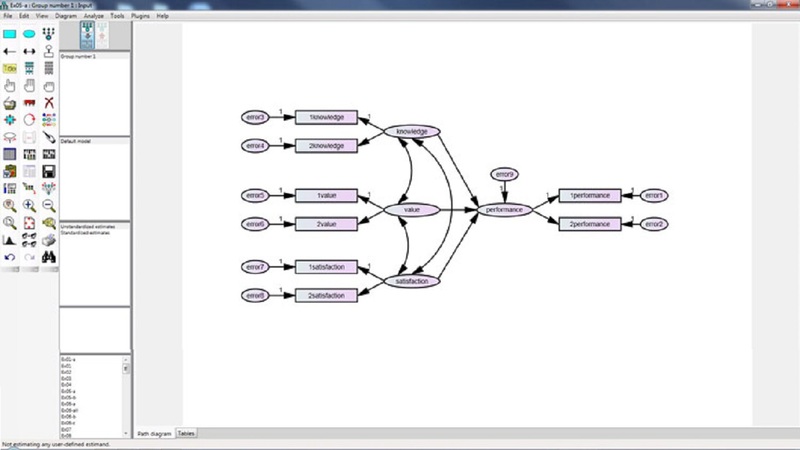 When the variables in the model are latent variables measured by multiple observed indicators, path analysis is termed structural equation modeling, treated separately. Many follow the conventional terminology by which path analysis refers to modeling single-indicator variables. However, Sean TX Wu considers it is not a necessary difference. Ingram, K. L., Cope, J. G., Harju, B. L., & Wuensch, K. L. (2000). Applying to graduate school: A test of the Theory of Planned Behavior. Journal of Social Behavior and Personality, 15, 215-226. Ajzen, I. (1991). The Theory of Planned Behavior. Organizational Behavior and Human Decision Processes, 50, 179-211. Ajzen, I. (1985). From intentions to actions: A theory of planned behavior. In: J. Kuhl & J. Beckmann (Eds. ), Action Control: From Cognition to Behavior (pp. 11-39). NY: Springer Verlag.